View from deck of Banks Channel and private dock with covered area. Living level entry. Open living, kitchen and dining areas. Deck off living areas. Deck off living areas. Living room open to dining and kitchen areas. Living room open to dining and kitchen areas. 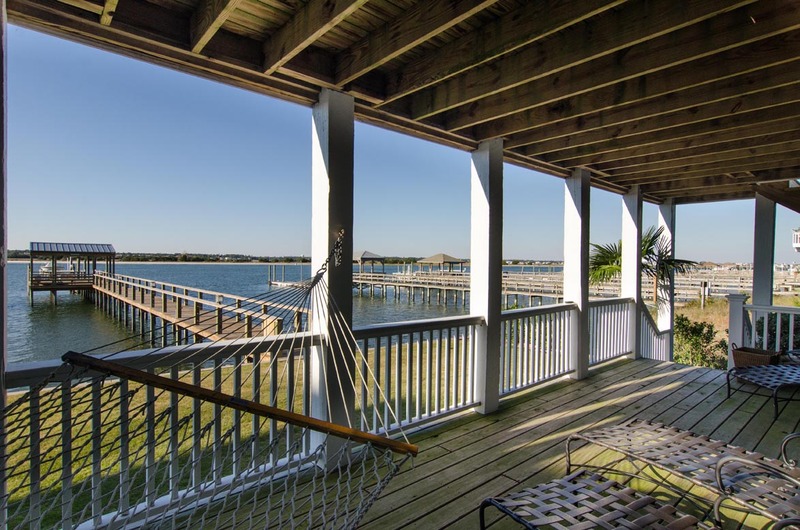 Enjoy spectacular sunsets from the large sound front deck. Living room Living room open to dining area. 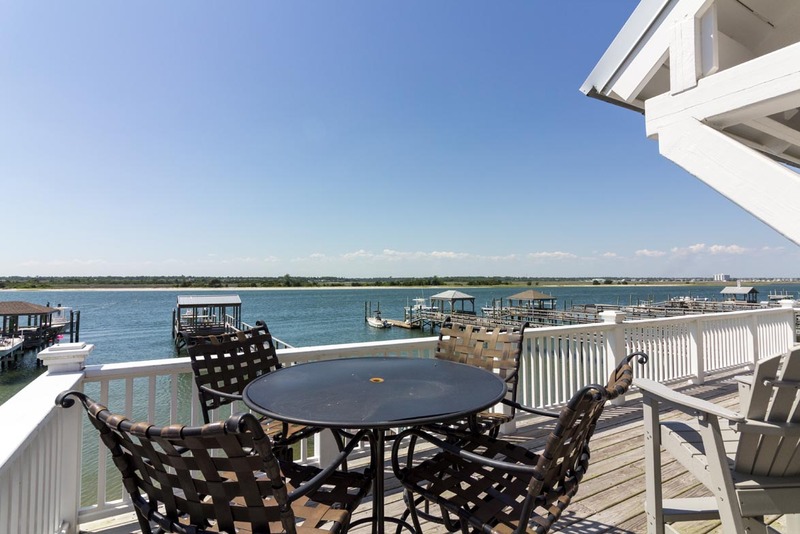 Enjoy spectacular sunsets from the large sound front deck. Dining area Kitchen Kitchen. 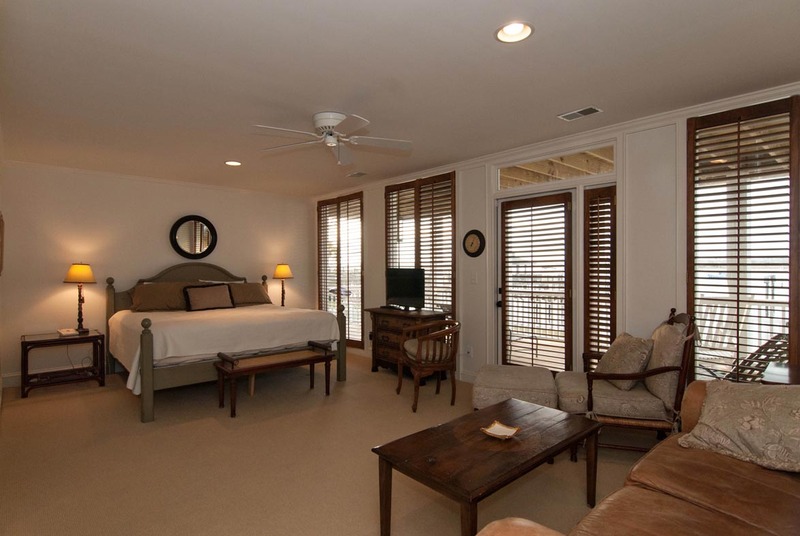 Ground level master suite with king bed, sitting area, private bathroom and private sound front porch area. Ground level master suite with king bed, sitting area, private bathroom and private sound front porch area. 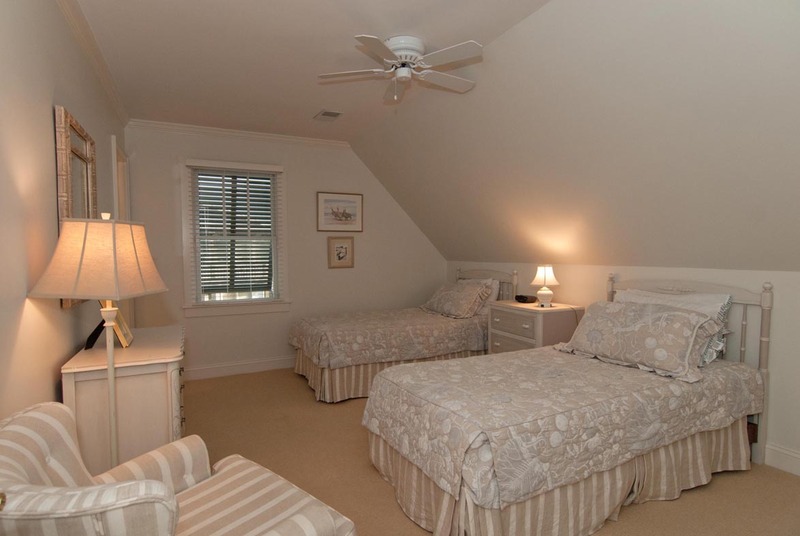 Ground level master suite with king bed, sitting area, private bathroom and private sound front porch area. Porch area off ground level master suite. Master bathroom. Main level guest bedroom with queen bed and private bathroom. Main level guest bedroom with queen bed and private bathroom. Top level den area. Top level den area. Top level office area just off den. Top level den area. Balcony off upper level den area Guest bedroom main level with 2 twin beds and shared bathroom. Guest bedroom main level with 2 twin beds and shared bathroom. Guest bedroom main level with 2 twin beds and shared bathroom. Top level guest bedroom with 2 twin beds. Top level guest bedroom with 2 twin beds. Top level master suite with king bed and private bathroom. Top level master suite with king bed and private bathroom. Guest bath top level. Back yard area. Back yard area. Private dock. Covered area at dock. Cleaning station at dock. Covered area at dock. 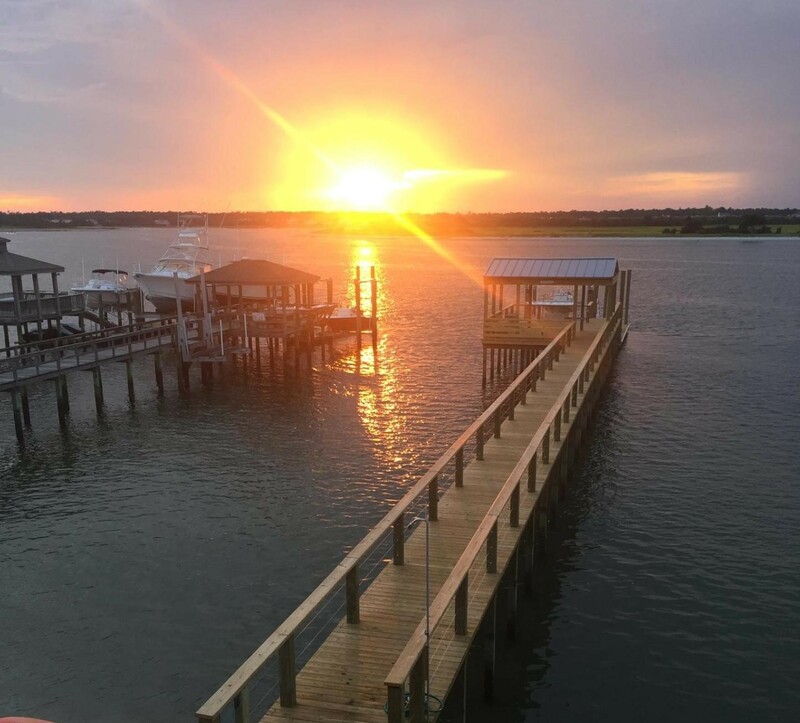 Sunset photo of dock Dock view of property. Street view of property. 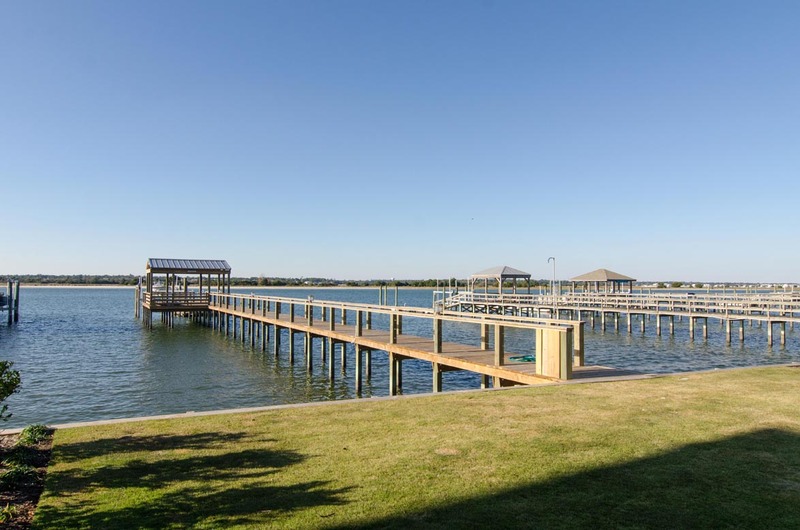 Enjoy peace and comfort in this stunning 5 bedroom, 5.5 bath single family sound front home with private gazebo, boat dock and tie up for up to 25’. 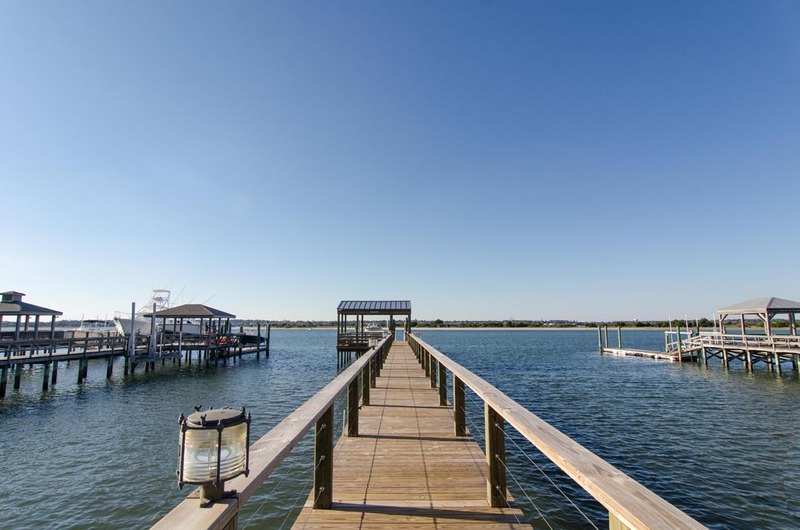 There are no bridges to worry about so you can sail away to nearby Masonboro Island or head out to the Atlantic through the inlet. 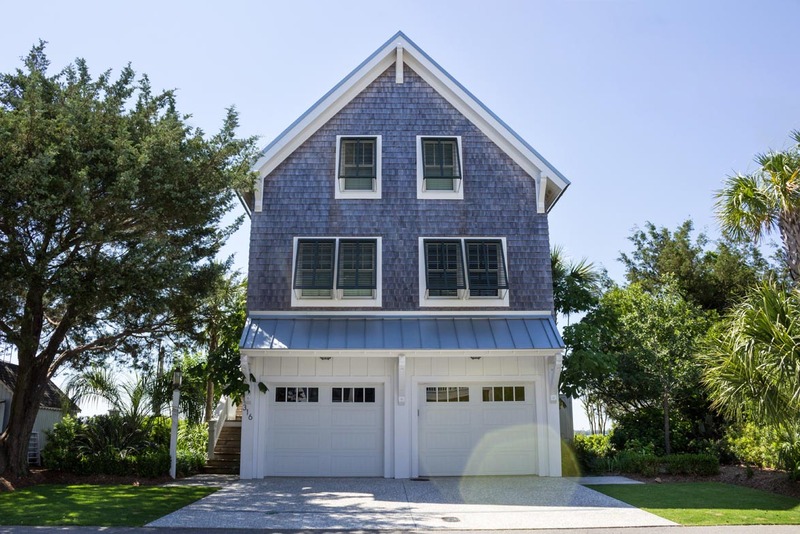 The home is at the desirable south end of Wrightsville Beach in a quiet family-friendly neighborhood. Spacious and professionally decorated this 3 level home is sure to be one that your family will want to vacation at time and again! 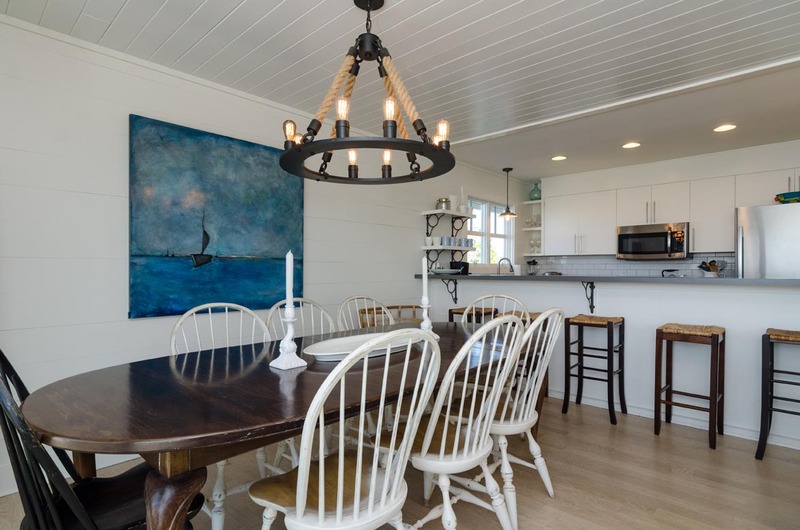 Completely renovated in 2013, this home provides places for entertaining or getting away for quiet time. 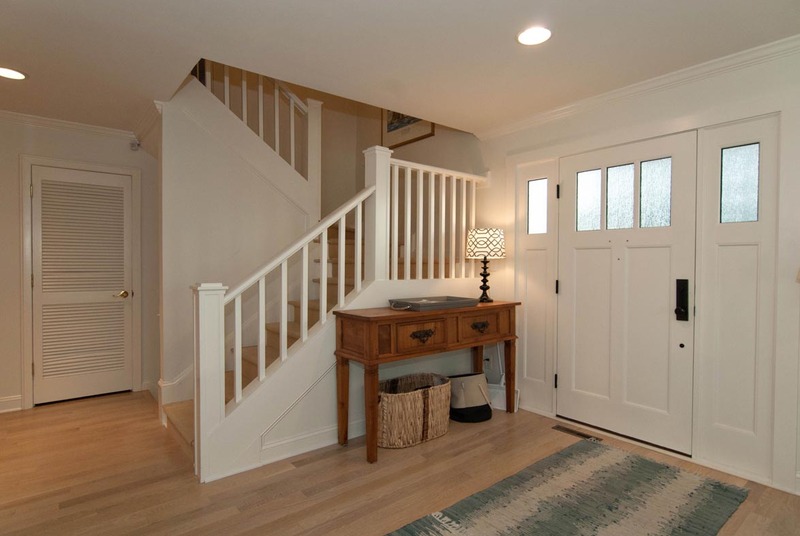 A private 1st floor master suite with bath opens onto a covered porch with rockers and hammock. The main level has a roomy living/dining area and kitchen. 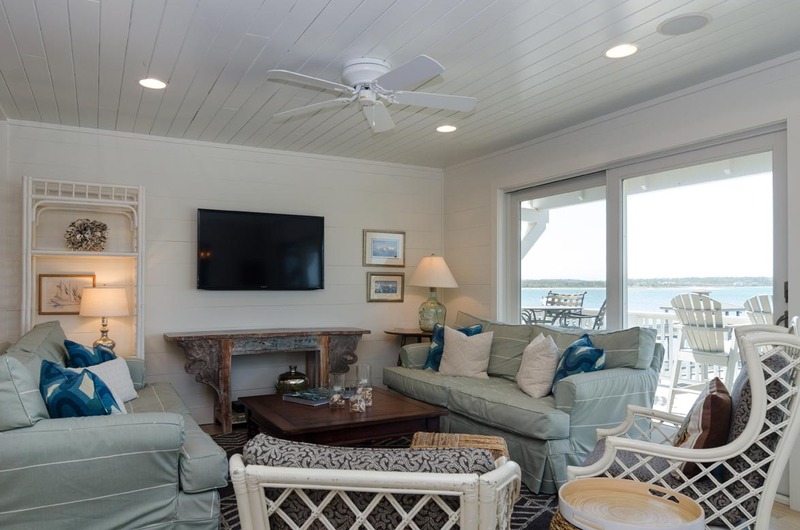 Savor magnificent sunsets and boating activity in the sound from the deck with rockers and dining area. Two bedrooms and 2 baths are on this level as well. 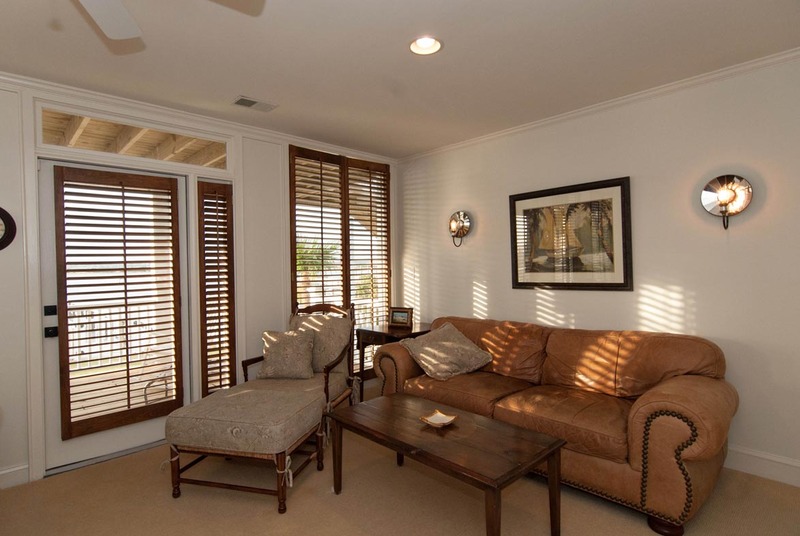 Upstairs features a comfortable TV room, office area, second master bedroom with bath, and one guest room and bath. Beautifully landscaped grounds provide pleasant surroundings for your stay. At low tide a sandy beach is perfect for small children. 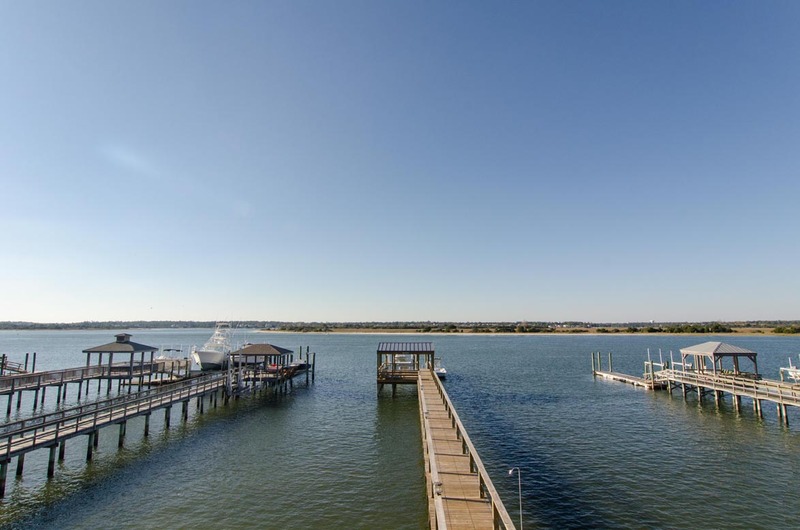 As an added plus, the beach access is only 200 yards away! Off-street parking for 3 cars only. Garage is not included in the rental. Occupancy: 8. This property is non-smoking inside and out. No Pets. We had a lovely long weekend celebrating our daughters wedding here! 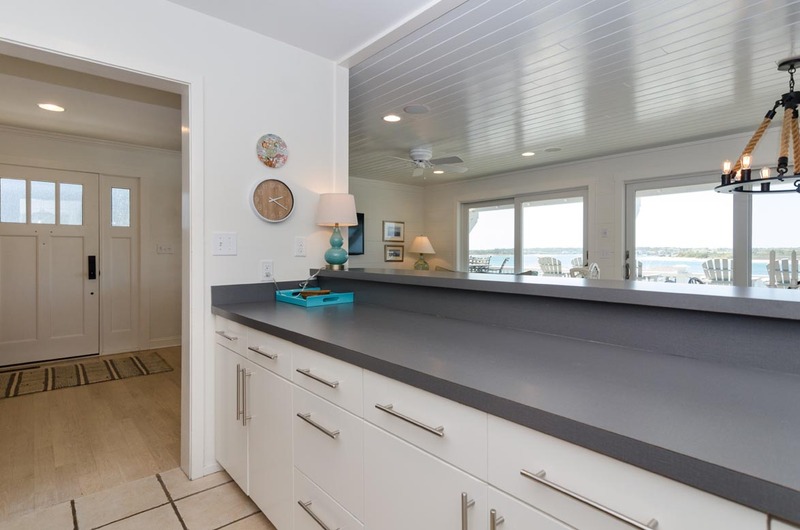 The home is well appointed and the views are fabulous! Highly reccomend! Karen, Thank you for your review. We hope you had an amazing wedding! We hope to host you again soon! Perfect Location - Perfect House! 110% satisfied. 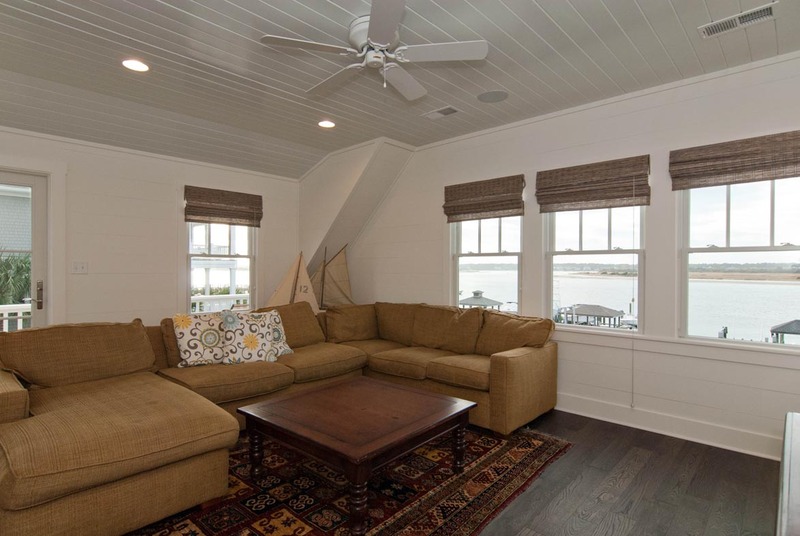 The house was perfect for our weekend at Wrightsville. Eight of us stayed there for running the Wrightsville Beach marathon. The house was perfect. It was super clean when we showed up. The kitchen was stocked with what we needed for meals. The back deck (both levels) was awesome for relaxing and watching the sunset. We brought our boat and used the dock which was perfect. The covered area with picnic table was great although the weather was a little chilly. Overall, I was very satisfied and would stay there again in a heartbeat! David thank you for your review, we are so glad that you enjoyed your stay and hope to see you next time. We had a wonderful stay in this beautiful home! this house has a great floor plan with breathtaking views. We enjoyed watching all of the boating action, extensive wildlife and stunning sunsets! It was great...only 4 of 12 family members were able to make it there on September 20th and two of us live in Wilmington, but we had a great time. wonderful house..will rebook for next year..hopefully no storm next time. Thanksgiving family reunion at the Double Dipper couldn't have been better! 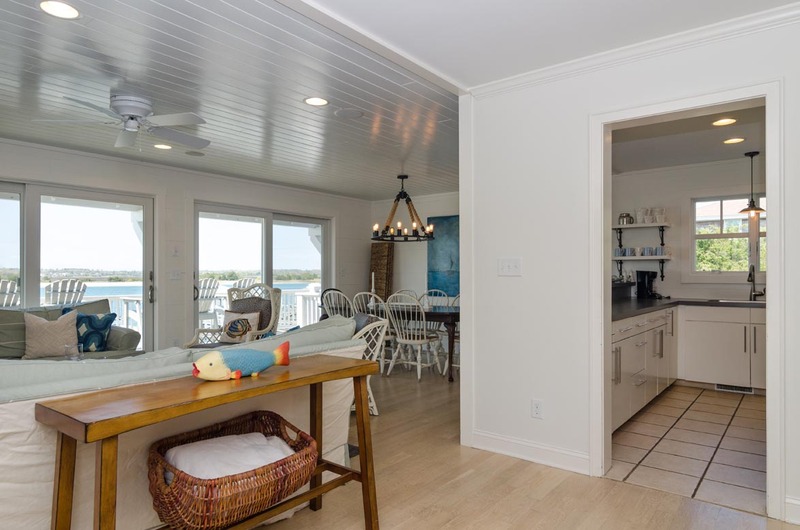 the house is perfect for families and is in a great location-especially enjoyed the fact that the house is directly on the water and we didn't have to cross the busy street to get to the dock. This is a great property to use with kids. The rooms are spread out to afford reasonable privacy. There is s little yard where we put a tots pool. The kids loved swimming in the sound right off the back yard. It was less intimidating for them than the ocean. We fished and crabbed off the pier. Everything worked in the house and there was plenty of kitchen gear. Bryant real estate responded quickly when we had some small issues. We would definitely return. I highly recommend both Bryant and this house. Weekend of Tennis with the Gals. We had a great time at this lovely home. With 10 gals, 5 full bathrooms was perfect!! We would love to come back here and stay again. The Double Dipper met all are needs and than some. Sunsets on the porch are spectacular! We needed to call Maintenance for a blown fuse and wifi issue. Both gentleman that responded were great. The house was perfect for us, 9 women. 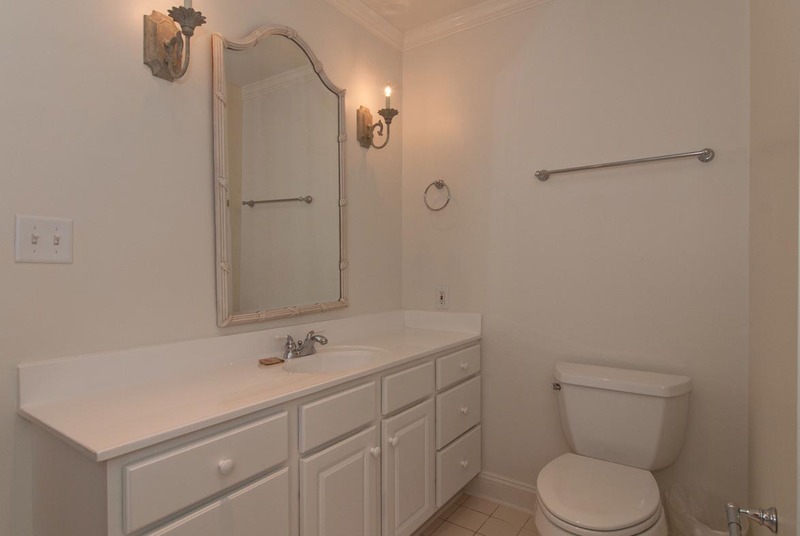 Plenty of bathrooms, spacious common areas, very comfortable. Loved the view, and the porch! Our family loved The Double Dipper as a central location to celebrate Christmas! 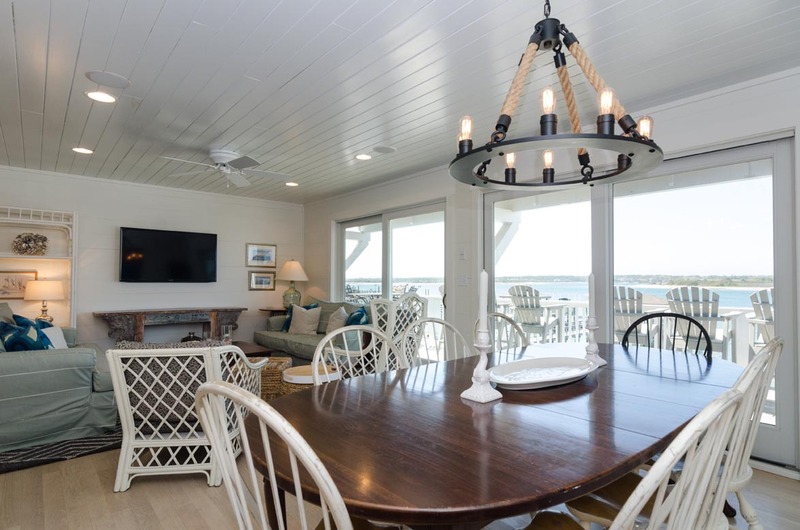 It has the charm of an old beach cottage, but the feel of a modern resort home with a stunning water view. We definitely highly recommend this property! Beautiful home with fantastic views! Home was clean and comfortable. Lovely home with plenty of space for entire extended family. 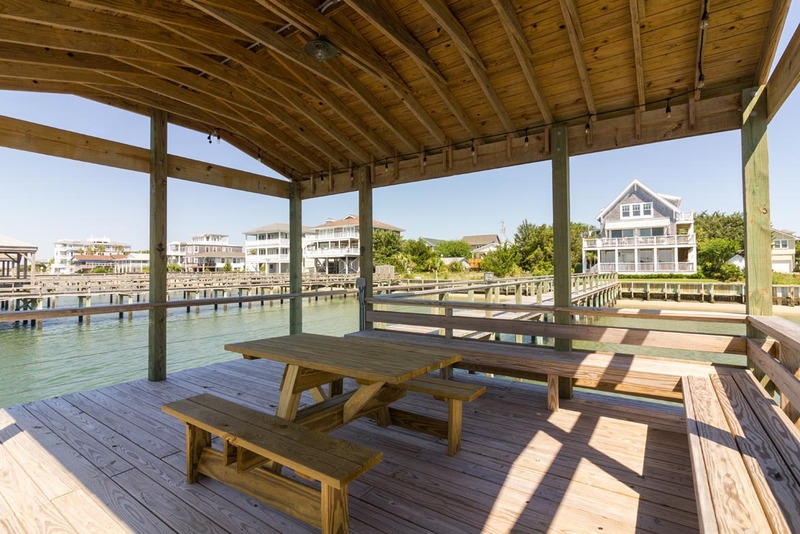 Beautiful yard, plenty of outdoor furniture, close to beach, and nice pier. Unfortunately, the beach dredging equipment was directly opposite the property on the waterway, but we were entertained watching the continuous activity. Wonderful week! The house is spectacular. Having the surround sound system with speakers, indoors and out, makes it a really fun experience. The lawn space was an extra plus. By not having a beach to walk out on we were able to use this space on the inlet to play bocce. The house is well stocked and I didn't even need to bring the household items on the rental list. This was our first experience on the sound side instead of ocean front and now I'm sold to come back for the sunsets and calm swimming waters.